Upon arrival at the airport, meet and greet with your driver guide. Transfer to your hotel. Then, have city tour of the capital if time permits. Get settled and dinner and overnight at your hotel. 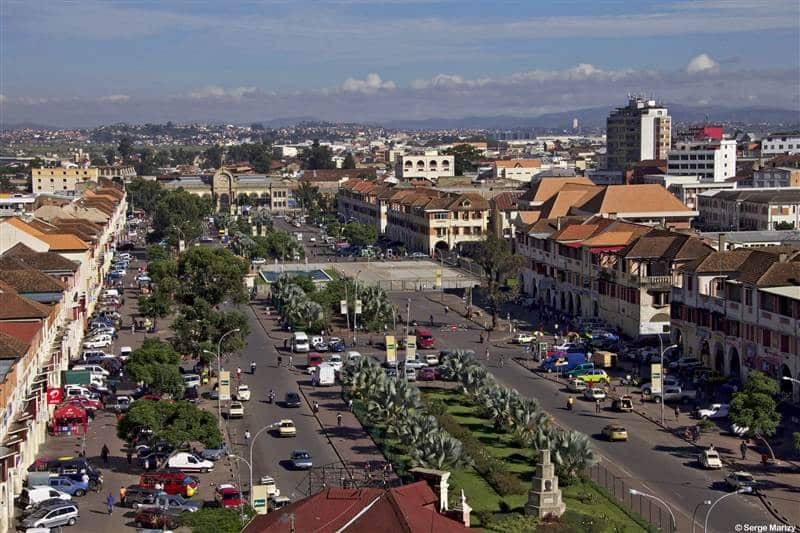 In the afternoon, you will explore the VOIMMA Park: This Park is run by the village community. It is here that late-night strolls are carried out. 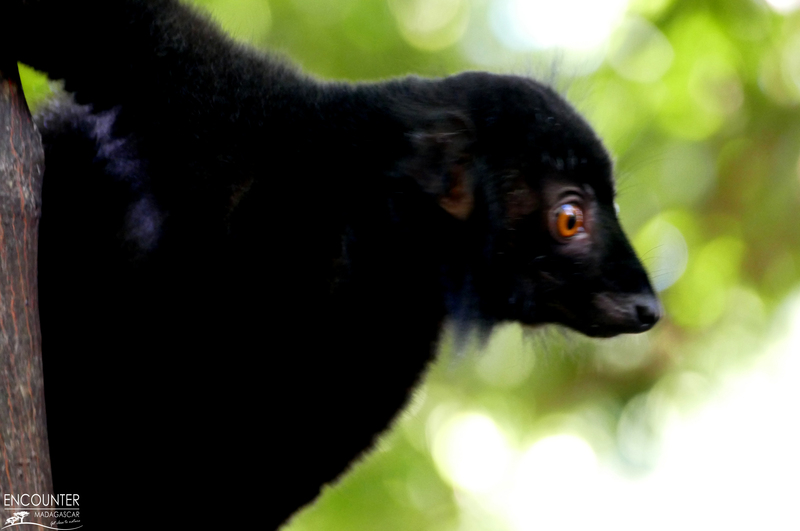 There are many species of nocturnal lemurs and chameleons. 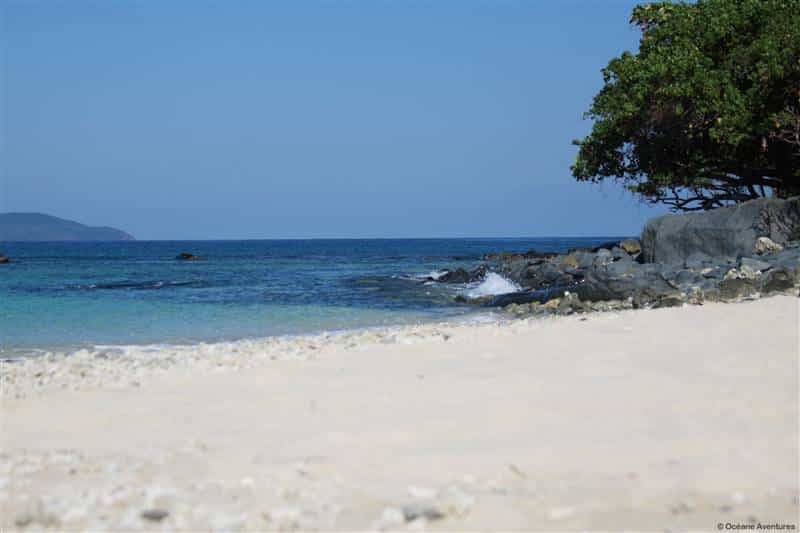 Depending on the flight schedule, transfer to the airport and flight to Nosy Be. Get settled for a dinner and overnight stay at your hotel. 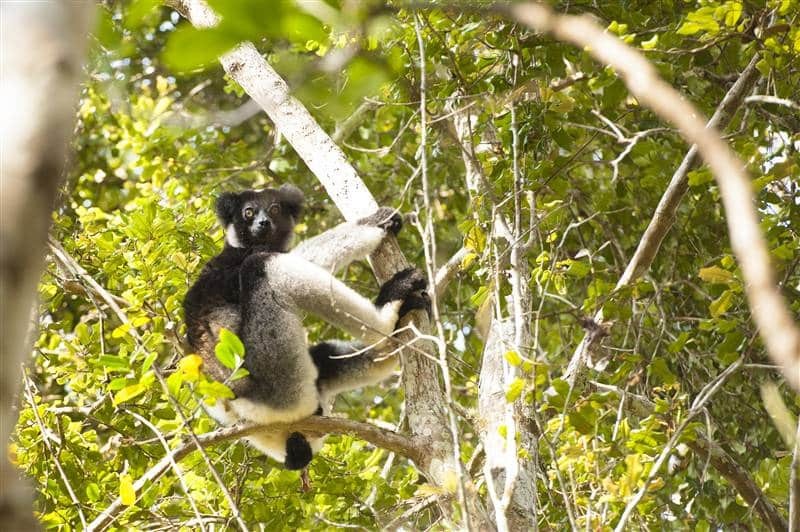 After the breakfast, a morning visit of the Lemuria Land in Nosy Be. After the visit, transfer to the harbor of Hellville and boat transfer to Ankify. Arrival in Ankify, welcome by your driver-guide and 1h road to Iharana. Get settled and dinner and overnight stay at your camp. After breakfast, discovery of the Tsingy in front of the Camp. Going for a stroll named “Tsingy Tsingy” that is designed especially by the Speleologist Jean Claude Dobrilla. Laid out private path with ladders, bridges, guardrails and panoramic viewpoint for Iharana’s guests are set for this stroll. The starting point is the camp itself with two choices: depart on foot or on a boat. Passing through the chameleon cave, this stroll will lead you to the roof of the Tsingy with breathtaking panorama of the surroundings. A good health condition is necessary because there are narrow and steep passages as well as small steep ladders. Spare lunch (provide a picnic lunch or have a spare lunch at the camp). In the afternoon, go to the Mandresy cave, after a stroll of about 20mn from the camp, along the Ankarana villages. At the entrance of Mandresy Cave, the guide will provide you cap lamp which is necessary to explore this huge cavity full of stalagmite and stalactite. A track has been designed so as to make the cave accessible for everyone. You will have the privilege to see some blind fish and the famous fruit bats of Madagascar called “Roussette” (Rousettus madagascariensis). You will also be amazed to see the different shapes of the stalagmites and particularly the size of the cavities which hide various magic places! On the way, you will find some cooking utensils, cooking pots and glasses because the caves were used as a shelter by the Ankarana people. Back to the camp, dinner and overnight stay. Morning devoted to the activity that is partly a “via ferrata”. Very playful, it requires good physical abilities. 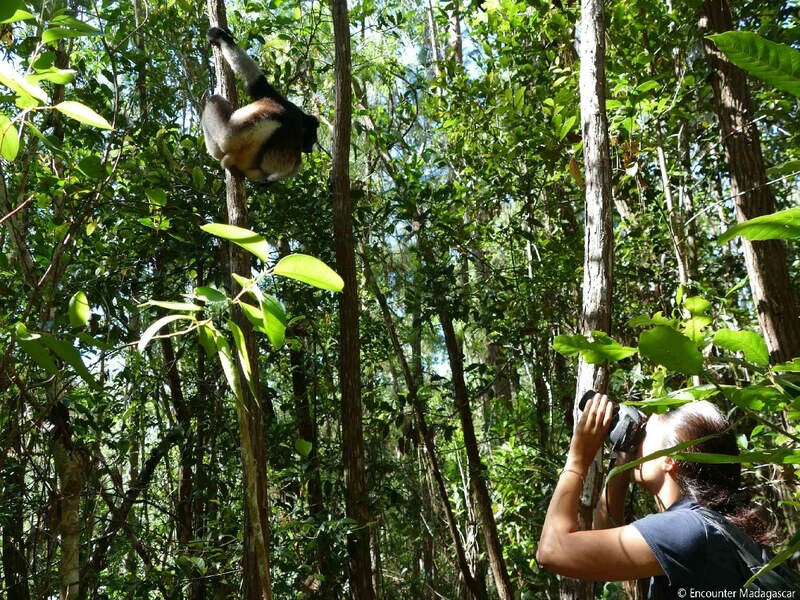 The activity is designed in the massif of Andranomiditra, 4km from Iharana Bush Camp. 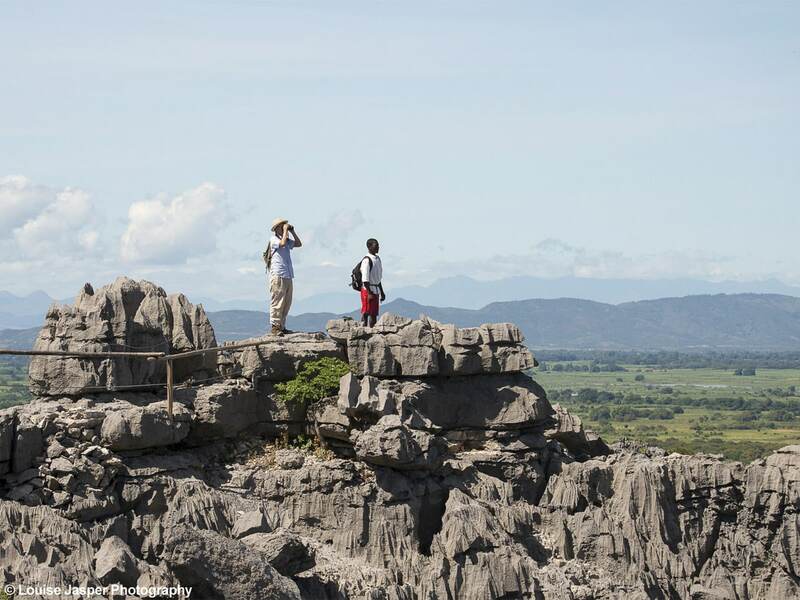 You will cross Tsingy then a canyon with lush vegetation. Then, you will follow an underground river followed by a vast tunnel. A last corridor occupied by a water body will lead you to the foot of impressive cliffs. All difficult passages are secured by cables. Harnesses, helmets and headlamps will be provided by your guide. Spare lunch at the camp. In the afternoon, a bicycle ride is the best way to meet the villagers and see their daily routine; in other words, you can observe the everyday life of the surrounding villages. What a real adventure and encounter! You can ride between sugar cane plantations, corn plantations or cassava plantations or along the rice fields. You will go across a canyon fit for the greatest western films where you can have your meal. 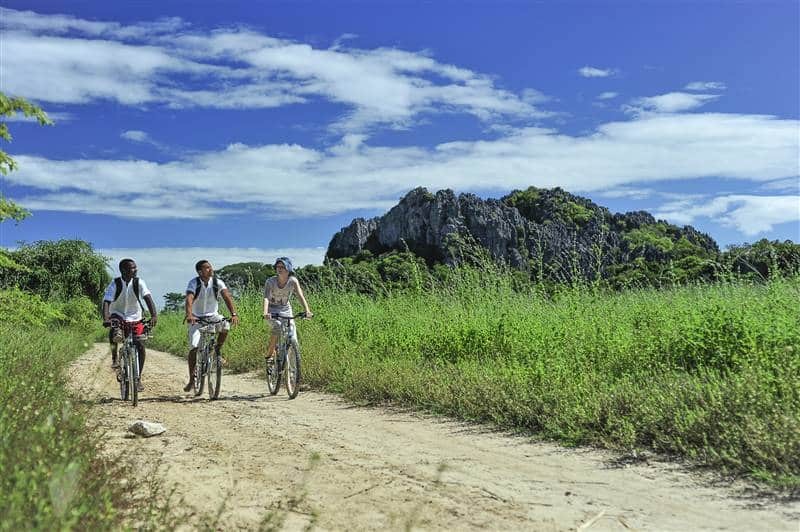 We warmly suggest this bicycle riding tour for those who want a picnic in a Tsingy canyon. You can think of it and tell us your wish. After breakfast, departure to Ankify in the National road 6. 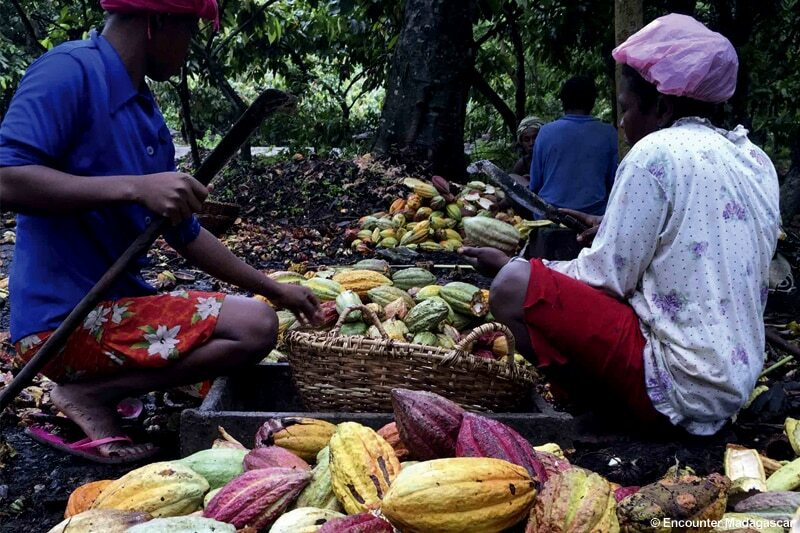 Stop at the Cananga plantation in Ambanja which lies in the valley of Sambirano, and visit. Spare lunch (or provide a picnic lunch from the camp).Then, transfer by boat to Nosy Komba. Get settled at your lodge. Spare stay in Nosy Komba. 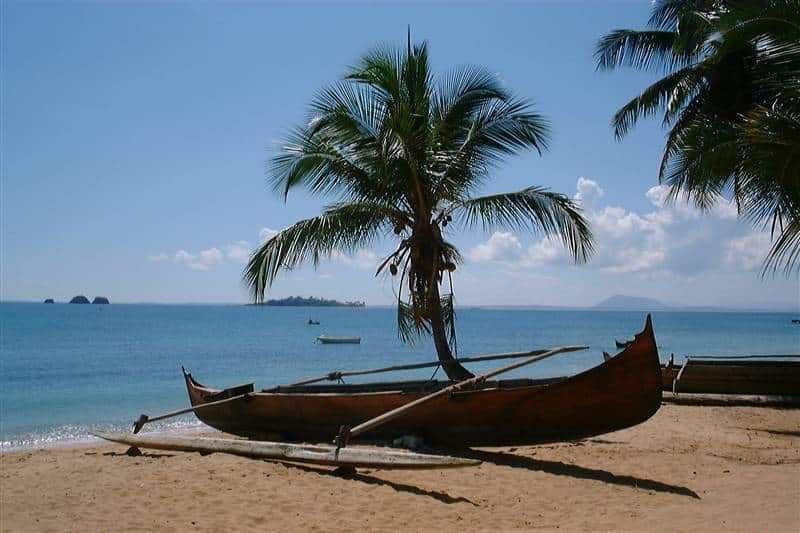 A well-deserve end of trip in Nosy Komba, just farniente or with fantastic excursions and activities on spot. Boat transfer to Hell Ville harbor then transfer to the airport and flight back to Antananarivo (depending on the flight availability and schedules). At your arrival, you will be met and driven to your hotel. Enjoying stay at Iharana Bush Camp, an extraordinary authentic accommodation. This is our favorite. 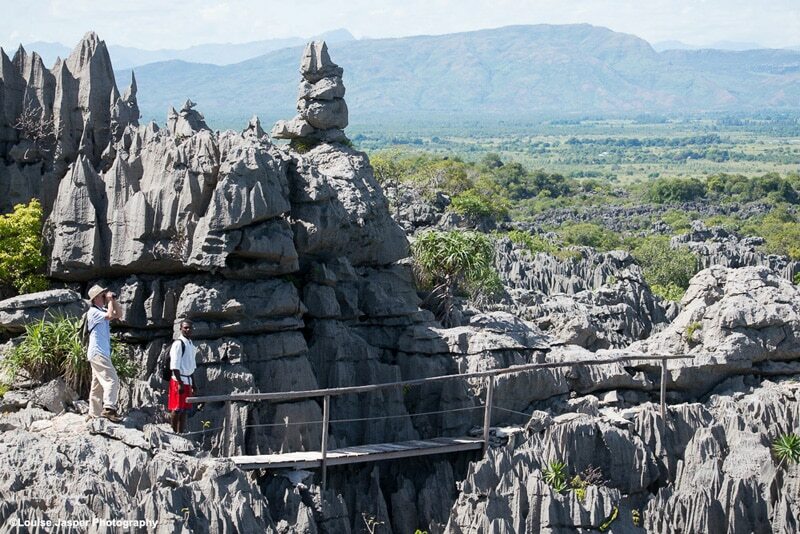 The tour will bring you to the famous Tsingy, the most spectacular geological formation in the island. You will spend three nights at Iharana Bush Camp and will explore the massif every day on foot, bicycle or traditional dug-out. 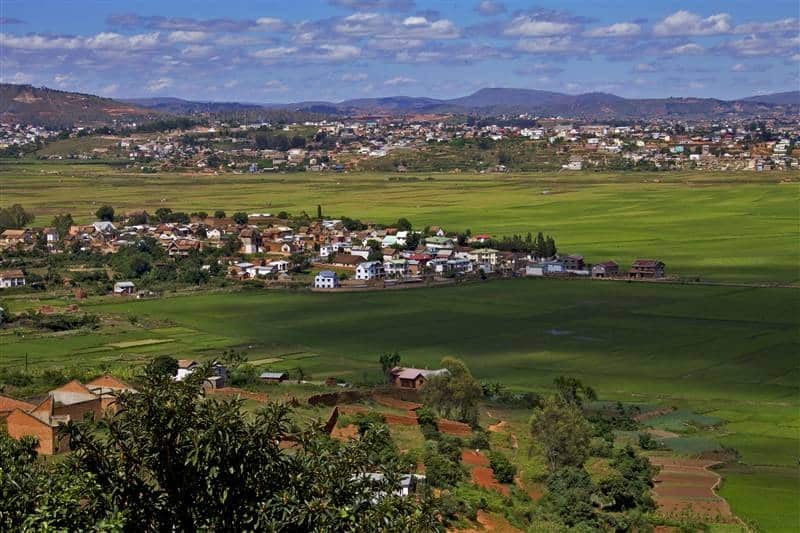 Enjoy a fantastic landscape from the rooftop of the Tsingy, explore wonderful caves where live some strange wildlife...The bush camp is also very nice: authentic ethnic design, ecological concept, and well situated in front of a peaceful lake and a Tsingy massif! You will end the tour at Tsara Komba Lodge. It is a 4-star luxury hotel with a rare and authentic charm, in perfect harmony with nature and with the area’s outstanding biodiversity. It combines a stylish and exclusive ambience, an excellent Slow Food Cuisine, tailored services and excursions, in an atmosphere dominated by a commitment to comfortable luxury and ecology.